What will we see in 2014 in the Android world? 2013 was a great year for phone technology and especially for Android. Our favorite operating system grew exponentially, offering more services, more apps and better hardware. 2013 was a year in which we saw bigger and better quality screens, digital camera quality camera resolutions and more and more impressive chipsets with ever greater processing potential. We also saw the first smartphone with 3 GB of RAM, physical keys moved to the back, and the first 64-bit processor in a smartphone. So what will 2014 hold for us in terms of Android technology? The device par excellence that tops the list of toys to anticipate in 2014 is undeniably Google Glass. We do not yet know when Google will bring Glass to the mass market, nor whether it will catch on like wildfire, or even if the price will be affordable. But Glass heralds the dawn of a new age of wearables and Android will never be the same once they catch on and spread. 2014 will be a year full of wearables and highly portable devices like smartwatches, bracelets and smart glasses. 2014 will be the year of insane pixel density on smartphones, upwards of 500 pixels per inch as we enter the realm of 2K resolution as standard for flagships. Not to mention Samsung are aiming to have 4K resolution on smartphones in 2015. Whether this is crazy overkill or not, it’s coming to a smartphone near you this year. All of this will be supported by new Android devices shipping with 4 GB of RAM, which we’ll also see in 2014. 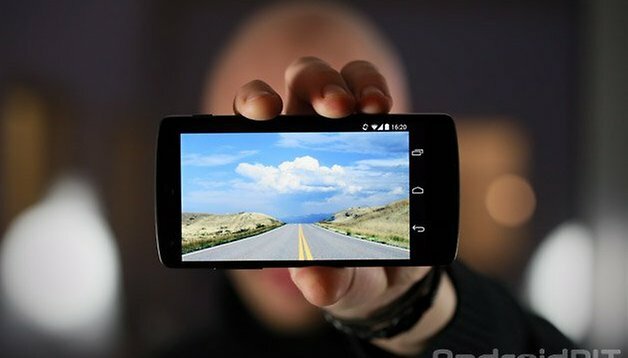 The smartphone is ever more rapidly becoming a substitute for the traditional digital camera. This existing situation will be pushed along even further in 2014 alongside a better Android camera API direct from Google. In 2013, we witnessed just how much more important the camera became in the presentation of new smartphones. It is no longer sufficient to merely state the number of megapixels a smartphone camera brings, consumers want sensor information, focal lengths, aperture info and more features, functions and modes than you could have possibly imagined even a year ago. RAW data support, on screen HDR previews, dual LED flash and Optical Image Stabilization will likely become standard in 2014. We’ve recently seen massive expansion in the LTE network range and capacity, and this trend is set to continue in 2014. LTE will continue to spread, bringing super-fast internet access to more and more Android smartphones and tablets as the year progresses. What this means is a greater reliance on internet-based rather than carrier-based services, better and more reliable VoIP connection quality and hopefully a few price drops along the way. Apple led the field in 64-bit processors when the new iPhone appeared in late 2013. 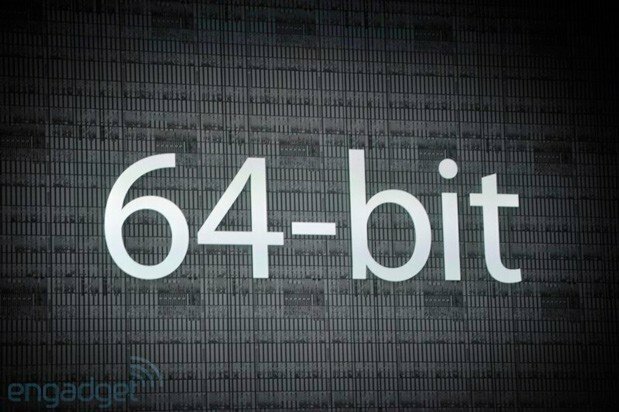 Samsung promptly stated they’d be introducing a 64-bit processor in a device to be released in 2014 and later the news appeared that Samsung would produce their own 64-bit processor in addition to the one developed by Qualcomm. A 64-bit processor combined with 4 GB of RAM will make a dent like no other if the combination appears in 2014. Keep your eyes peeled for this because it will be a highlight of the year. In 2013 we already saw two examples of fingerprint sensors: the TouchID sensor on Apple’s iPhone 5s and the biometric scanner on HTC’s One Max. 2014 will undoubtedly bring more sensors of this type to both smartphones and tablets, not to mention the possibility of iris scanners and touch-sensitive rear panels like that found on the Oppo N1. Another technology that we hope will become increasingly standardized in 2014 is wireless charging. We've already seen it on Nexus devices, Nokia Lumias and the Samsung Galaxy S4, among others. Let’s just hope that in 2014 even more manufacturers decide to include this cable-free charging option in their Android devices. Finally, 2014 will be the year of the Samsung Galaxy S5, the Galaxy Note 4, the Nexus 5 (2014), the HTC One 2, the new Xperia, the LG G3, the Galaxy Note Pro, the new Nexus 10 and a few more minis... In short, it will be a year full of new smartphone and tablet stars. With the existing flagships becoming last year’s models, more and more people will be able to afford great displays, great processors and graphics cards in their new phones. As a counterpoint, 2014 will also likely be a year in which more manufacturers are encouraged to launch high quality devices at more affordable prices. A clear example of this is the Moto G, which costs less than half the price of a Nexus 5 and a quarter of the price of an LG G2 or Xperia Z1! Add to this the increase in lower priced, high quality Chinese imports and things start to get even more interesting (and affordable). The steady uptake of Android KitKat (and whatever comes next) will also be huge news as Android 2.x slowly disappears. So, that’s my predictions for 2014, now it's your turn. What do you think 2014 will bring for Android? Can't wait til the next Nexus comes out! !